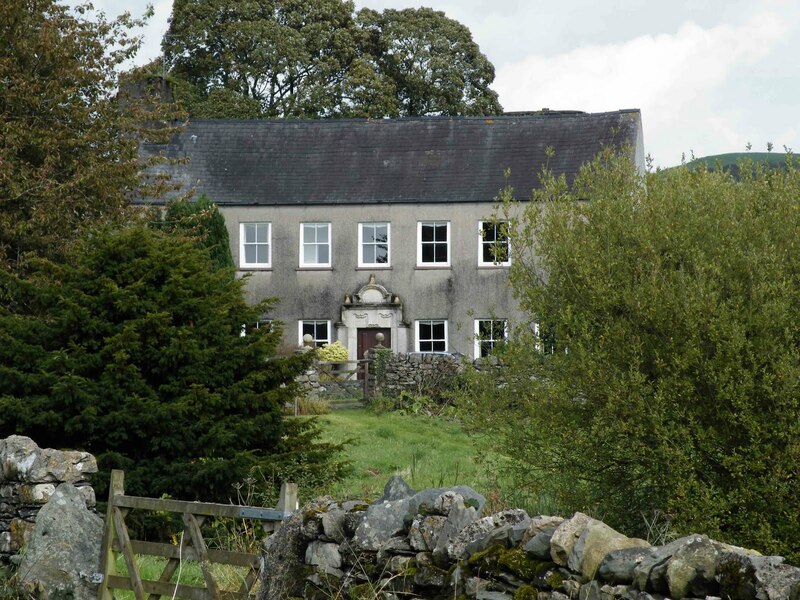 Plumpton Hall lies about two miles off the A590, East of Ulverston. This tiny collection of houses that makes up Plumpton, overlooks Plumpton Bight, a shallow bay to the North West of Cartmel Sands. From the shore line here, Grange can be seen across the estuary, with the Leven Viaduct spanning the width of the sands and less than a quarter of a mile to the South, the Eastern end of Ulverston Canal enters the bay. Plumpton Hall sits on the last few hundred yards of tarmac road eventually leading down to the shore of the bay. There are essentially two buildings here, a Western wing, consisting of an H plan building...a central hall with two wings to the North and South, and an Eastern portion (shown below) consisting of a single two story building. Above. The newer hall, looking roughly North. 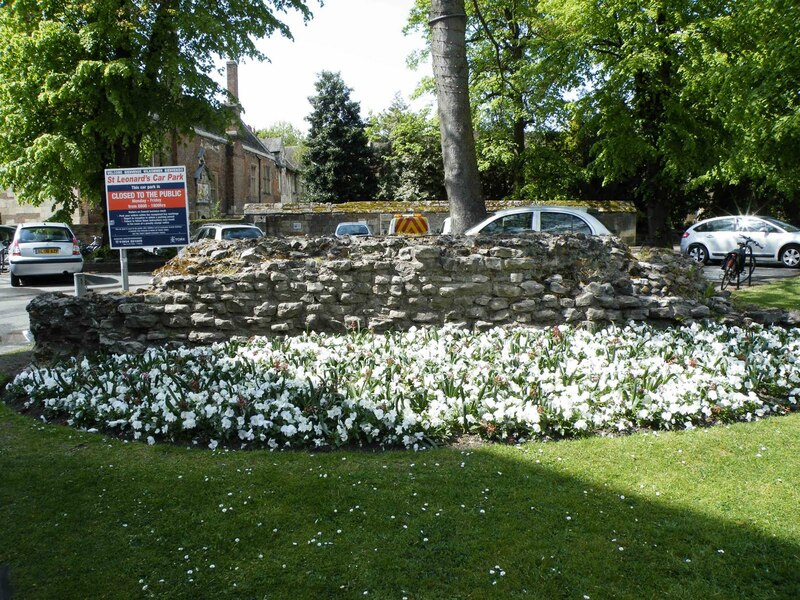 It is thought that there has been a 'manor' house on this site since the mid 1500's, but it's unlikely that anything of this earlier original building remains. The oldest parts of the hall(s) are the central hall and two wings of the Western building, probably dating from the 17th century. 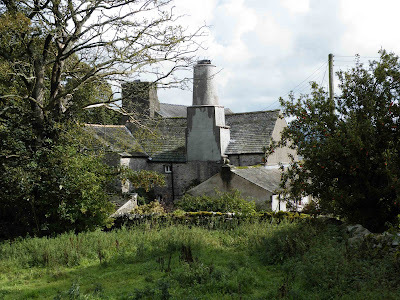 As with a number of buildings from this period in this particular area, I would say Westmorland, but the peninsula was part of Lancashire up until 1974, there are good examples of Westmorland chimneys here. The second part of the hall, is the two story building that faces South with gardens set out about its front. This building was most likely built towards the end of the 1780's and some accounts state that it was originally a three storey house. I'm not sure at what point the third storey was removed. Above. 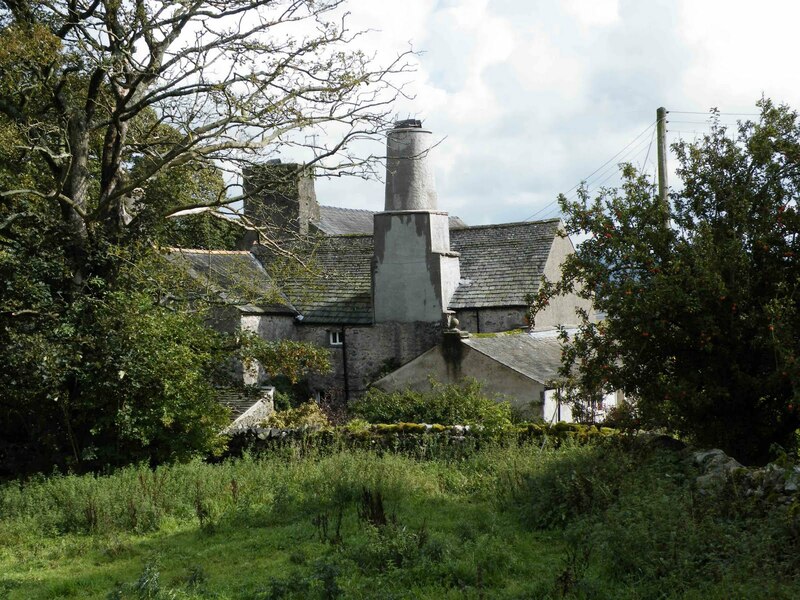 Looking at the rear of the older part of the hall, with its beautiful Westmorland chimney. 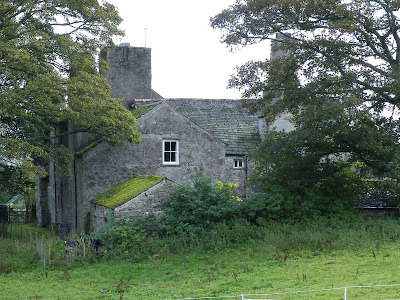 After 1554, the 'manor' of Plumpton fell under the ownership of the Sawrey family, the most notable member of the family being John Sawrey, a puritan advocate who bitterly opposed the Quaker, George Fox. He was drowned whilst attempting to cross the Leven sands in 1665. Above. A closer view of the rear of the older part of the hall. A local legend tells of a 'haunted' brass lantern, kept at the hall, and endowed with miraculous powers that enabled it to find its way home if it was ever removed from Plumpton Hall. Check this link for a photo of the lantern. Denis R. Perriam and John Robinson write very briefly in their excellent book "The Medieval fortified buildings of Cumbria" about Plumpton Hall...but with no discussion or decision on whether this building ever constituted a defensive manor. There seems to be no mention of towers that have been demolished here, or towers that have been swallowed by the later additions to the site. Still....a beautiful building in a beautiful location. The remains of a Roman quay can be found hidden away at the foot of the medieval walls along Nun's Road, to the East of the race course. The quay lies at the point that Black Friars road intersects Nun's Road. 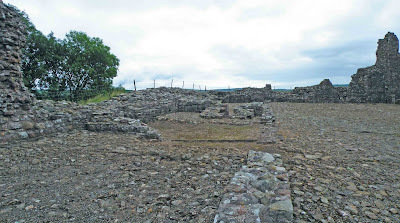 The remains consist of an earth covered mound of cut red sandstone, and represent the last remnants of a riverside quay that would have been used to load and unload ships as they sailed up the River Dee to this point. 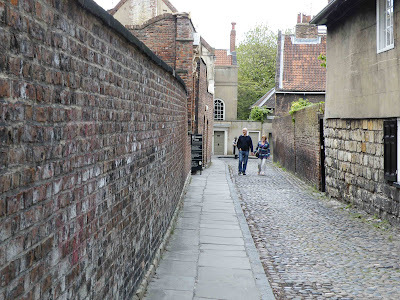 The river would have lapped the foot of the wall here, some four or five metres below the current ground level, providing a good deep, navigable river for the Romans to use. The river silted up over the course of about two thousand years, and receded away to the West. 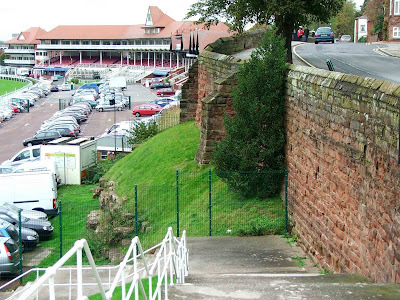 The medieval walls were built on top of the Roman remains, and the race course now occupies the old flood plain. Above. Looking along the wall towards the scant remains of the quay. There's not really much to see, but it's interesting to know that it's there as you walk along the walls above it. One of 26 towers built around the Roman city of Deva Victrix can be found at the junctions of Newgate Street, Pepper Street and Souters Lane. The tower most likely dates from the end of the 1st century AD or the very early 2nd century AD. Above. 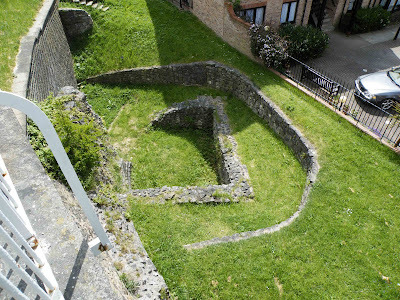 View of the foundations of the tower from Pepper Street. The tower was constructed on the inside of the walls rather than projecting beyond the walls. This would have afforded it all the protection that the stone walls could provide, whilst still giving the Roman guards stationed there, great views out over the lands beyond the city. 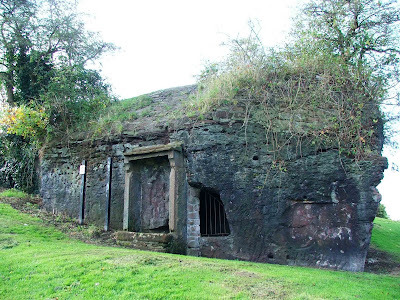 For added defensive protection, there was a twenty foot wide and nine feet deep ditch in front of the walls. Above. 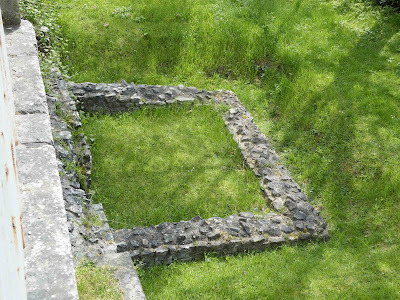 View of the foundations from the Medieval walls. The tower is seemingly contemporary with the walls, as both structures are bound together with no difference in building materials or breaks in build. Chester was some 20% larger than any other Roman fort in Britain, even larger than York and London. Some historians have suggested that this could point to Roman intentions to make this their British capital. The nearby amphitheatre is the largest military amphitheatre in Britain. 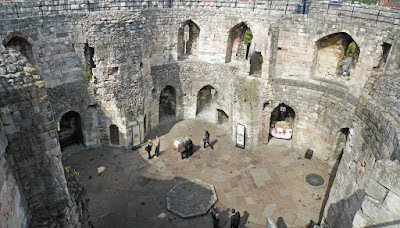 I thought I'd include some of the photos of the interior of Clifford's tower in York. These were taken during my May 2010 visit, and until now, haven't been used on the web site. Above. Looking South East over the gatehouse tower, towards the University of York. This is my favourite view from the wall walk high up on the tops of the tower's walls. 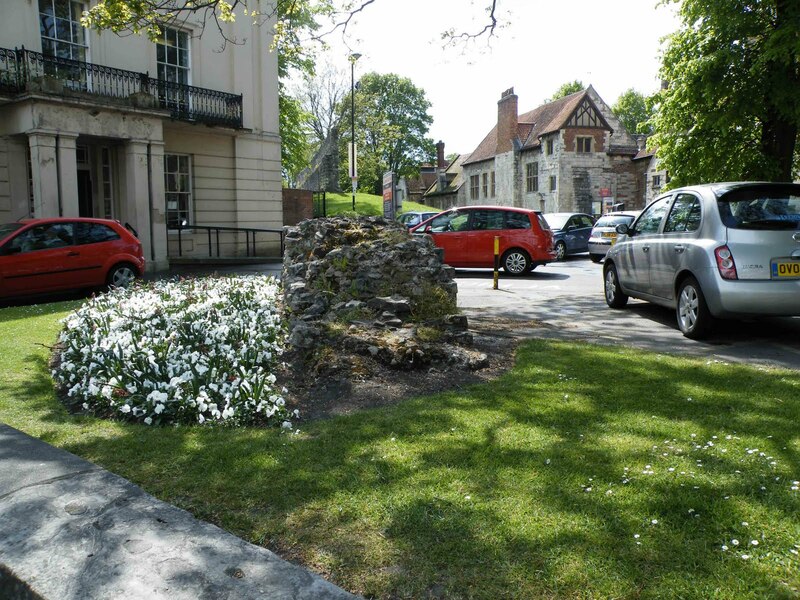 The gatehouse can be seen in the centre of the photo, with its tiled and steepled cap. 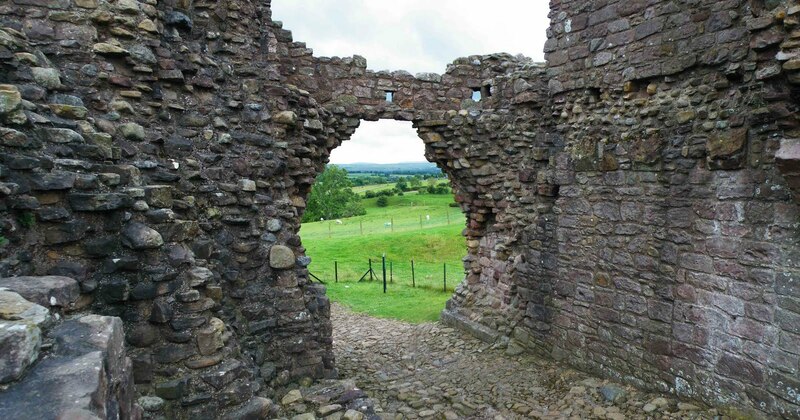 The gatehouse contains a staircase to the upper floors, built into the thickness of the walls, and there are two more spiral staircases to the left and right, again, each built into the thickness of the walls. These provide access to the passages and rooms built within the walls, and also the wall walk three storeys above. Above. Looking down into the interior of the tower. Looking down from the wall walk high above, the interior of the tower appears to be an empty void. 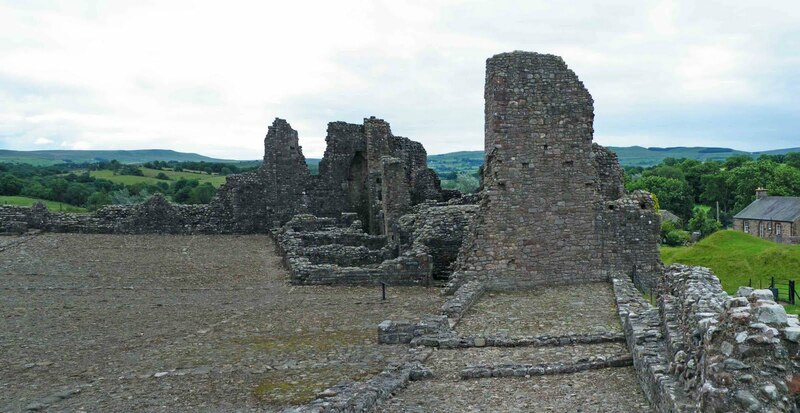 Originally however, the area shown in the photo above, and those below, would have been under a roof, and would have contained rooms...kitchens, living quarters, a hall and store rooms. Now all we see as proof of this long lost collection of domestic rooms, is a single octagonal column base, which would probably have provided a central strong point for floors and roofs. Above. 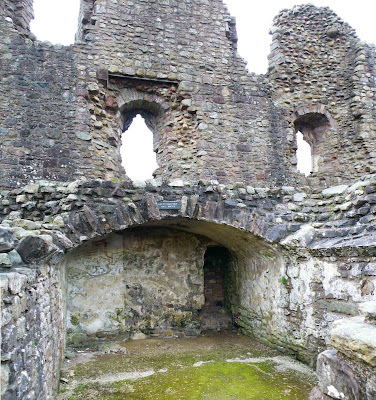 Looking at the Northern part of the interior of the tower. All the interior masonry has now gone, and drawings and etchings from the early 1800's, show that the interior of the tower has been empty for some time. 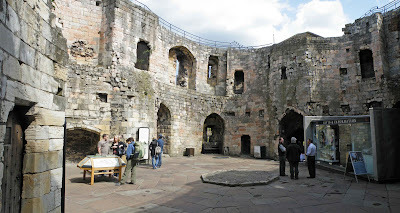 Of course, much of the central building would have been constructed of wood as well, and as there have been a number of fires here at the castle, it's hardly surprising that there is now a huge void between the tower's walls. Above. A view at ground floor level towards the North West of the tower. The walls over the gatehouse house a small chapel, with arcading set into the walls. 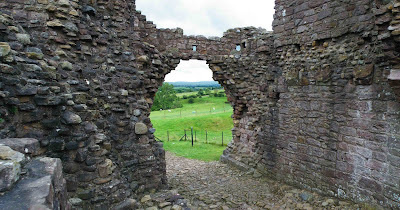 Such were the cramped confines of this relatively small castle, that when the portcullis was raised, it was projected into the chapel, and would have obscured the decorative wall. Above. A view at ground floor level towards the gatehouse. The entire interior of the tower is accessible for a small fee, and the climb to the summit of the motte is well worth the effort. 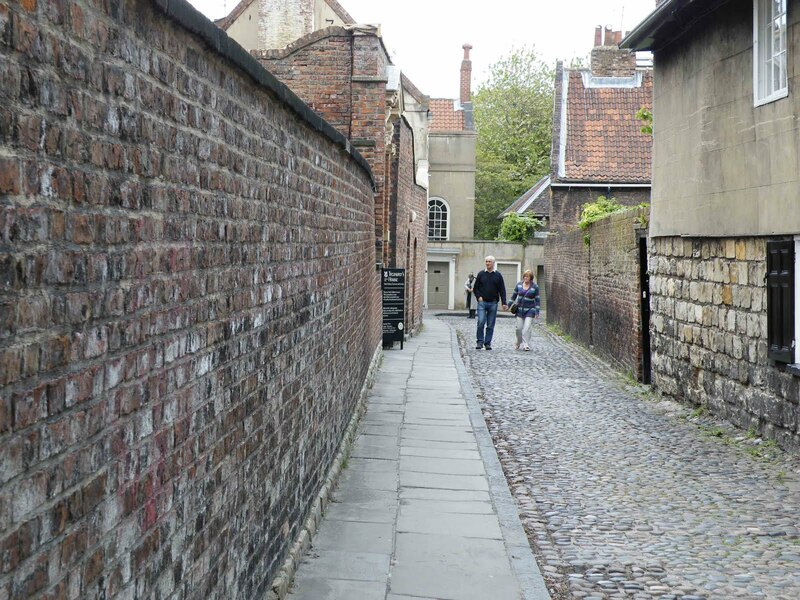 Make sure you take the time to walk around the wall walk, as the views out across York are fantastic.